EdTechXAsia is a thought leadership platform created to drive conversations and solutions that are transforming the education and lifelong learning needs of Asia in the 21st century. Produced in partnership with EdTechXGlobal and SingEx Exhibitions, This time the EdTechXAsia summit and exhibition event will be held in Singapore at Singapore EXPO @ MAX Atria. 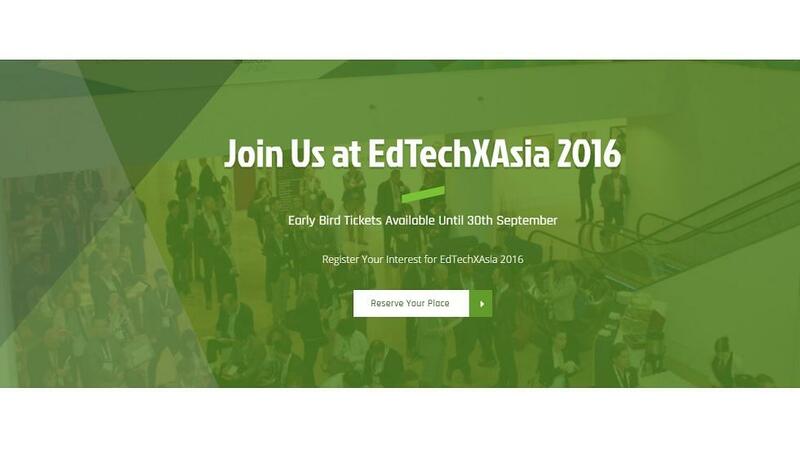 The theme of the event will be 21st Century Education and 21st Century Skills; the 2016 EdTechXAsia event will be programmed in collaboration with an international advisory panel to attract a unique community of worldwide education makers and shakers at the forefront of industry, innovation and investment. After having a successful event at London, EdTechXEurope 2016 that witnessed 750+ global thought leaders 15-16 June to discuss the 'Now & Next of EdTech' during the annual summit they are all set to welcome education stakeholders in their Asia event that will happen for two days on 8th and 9th November 2016. The event will cover Topics revolving around The Future: Technology, Globalization, Education and Training in the 21st Century Learning Science in the 21st Century. Some of the topics are listed below. - Investors Insights worth Millions where Key Insights from Top Investors on Why Startups Succeed will be discussed. - There are going to be CEOs and Founders sharing their stories, insights and journey on building solutions that have revolutionized education and tackled the most pressing challenges in the sector. - What’s next in Experiential Learning with Virtual Reality & 3D. - Strategies of Tech Titans for Education: What are Google and Microsoft Doing Next? Check the complete agenda for the event here. The event is going to be an apt place for a lot of learning and taking a great deal of knowledge and insights from top leaders. Early Bird Ticket Discount is available until the 30th of September and special discounts for Educators, administrators, students, Education & technology startups, Government employees & non-profit organizations are also offered. To get complete details and register, click here.